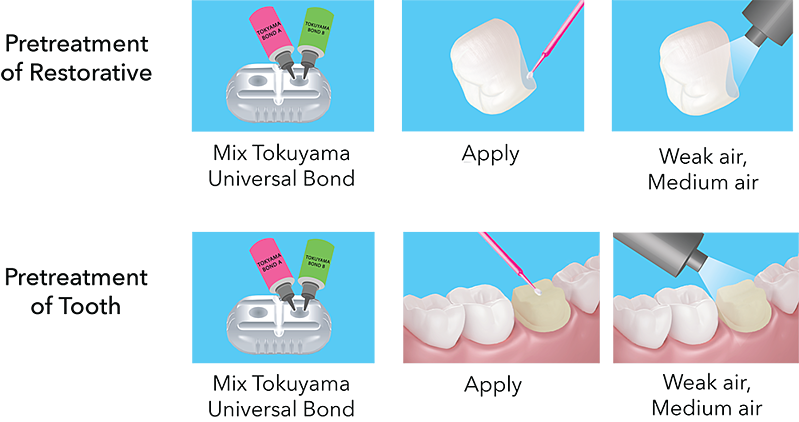 Tokuyama Universal Bond is applied to the restorative and the tooth structure in a quick three-step application (mix, apply, air dry). The process/application can be completed in 25 seconds because there is no need to: light-cure, etch (optional), rub into surface, add silane, add metal primers, or add DC activators. Tokuyama Universal Bond enables EsteCem II's chair time to be compatible to SA cements in the market. Weak air (5 seconds) to thin bonding agent to optimal film thickness, prevent splattering & pooling, and start evaporation of solvent. Ramp up to medium air (5 seconds) to completely evaporate solvent and complete polymerization. Visual indicators of complete cure: material will turn clear and should not move or appear wet. 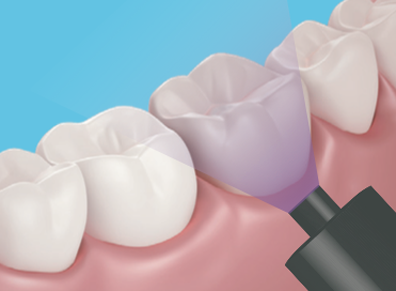 After application of Tokuyama Universal Bond to preparation and restorative, apply auto-mixed cement paste to the restorative and seat with firm pressure. Proceed to tack cure. 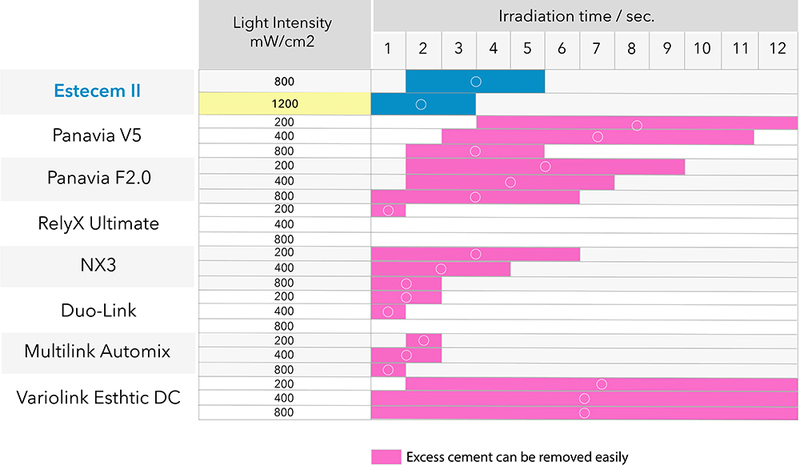 Light-cure excess cement paste with curing light for 2 to 4 seconds depending on intensity of curing light, see chart below. 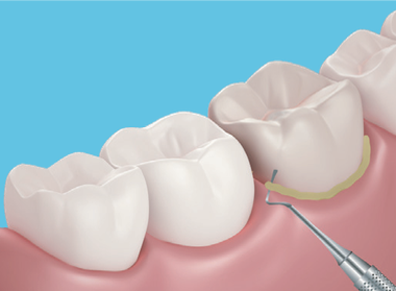 Remove the gel state within 1 to 3.5 minutes after seating. Light-cure lingual and buccal margins for 20 seconds each. 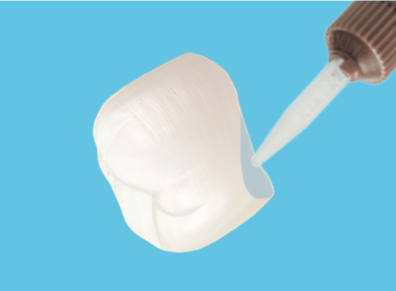 Light-cure lingual and buccal margins for 20 seconds each, have patient apply normal occlusal pressure for 8 minutes.